Cat’s eye gemstone is one of the most awestruck gemstones in the piles of all gemstones. The gemstone is available in various colors and various shapes. This piece of gemstone turns out to be a great choice for jewelry if one wants to acquire the mystical, unique and adorable look. The cat’s eye stone acquires unique color due to the presence of fibrous mineral inclusions which altogether relinquish stone with multiple colors. The various colors of cat’s eye gemstone range from blue, green, and yellow, orange, black and white. This gemstone is not fragile in nature, but very hard actually infect the hardness of this stone is measured 7.0 on moh scale (a tool used to measure the hardness of different minerals). This gemstone is shaped or cuts into various shapes, however, oval cut cat eye or round cut cat eye stone is appreciated by gem lovers mainly. The Lehsuniya or cat’s eye stone is popularly being worn as ring, bracelet and in another form of pieces of jewelry. It is also adopted in the form of a ring, necklace to win astrological benefits and to gain mystical power. It is being said that wearing Lehsuniya stone boosts the positive powers of coercive planet Ketu in the life of a wearer and foster the wisdom. This gemstone is also considered to be benevolent to those who are under depression and want to overcome it. It is being firmly believed about this stone that wearing this stone evokes the positiveness in mind and disparate the negative thinking away from the mind. Those who are suffering or cursed by bad spirits, ghost, and bad eye should wear this precious gemstone. Cat eye or lehsuniya displays a stream of light passing exactly the middle of it. This happens due to the reason that this stone is being polished into cabochon that displays a width of light passing across the width of the stone. Hence, the cabochon cut is responsible for displaying the unique stream of light passing exactly the middle of it. Cats eye gemstone price is decided upon various characteristics such as cut, color, carat, and inclusion that flow or reside inside a gem. Among all gemstones that demonstrate the cat’s eye effect chrysoberyl cat eye is known as being the best because of its competency of displaying the strong and distinct cat eye effect. 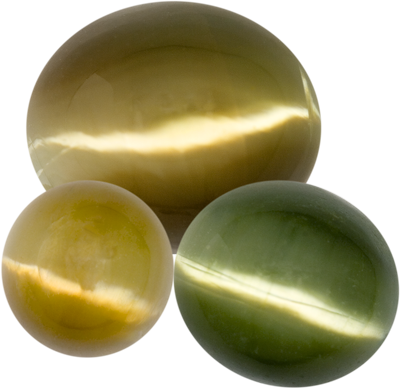 Chrysoberyl cat eye is favored being the best cat eye to evoke spiritual enlightenment and confined worldly desires.